Why should girls be any less stylish than adult skiers? 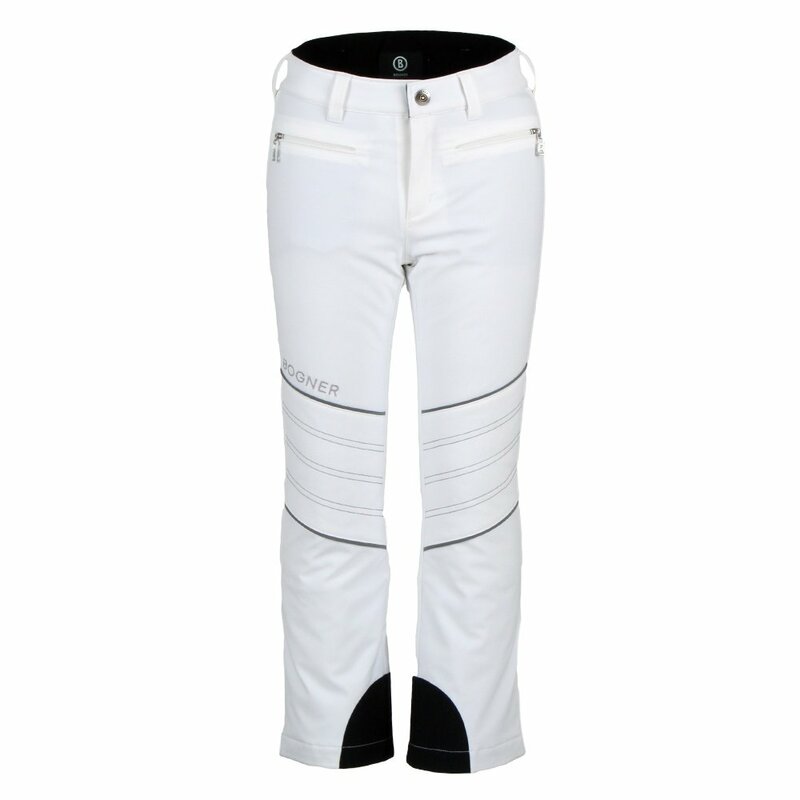 That’s the thought behind the Bogner Bekki3 Insulated Ski Pant, which has the same modern, elegant style details of women’s pants, like contrast stitching and subtle Bogner embroidery, but in a girls' style. A stretch, elastic waistband helps fit girls of shapes while the snow gaiters and scuff guards help prevent wear and tear. Maybe most importantly for junior skiers, these ski pants have 80g of high-tech insulation and a 10K waterproofing rating, both of which will keep her warm and dry in winter flurries.